We believe patient education is vital to overall health and life. Dr. Gafanovich is aware there must be trust between doctor and patient. Trust is crucial to a healthy life; if you can’t trust your doctor, why would you want an appointment? When was the last time you had a thorough medical workup? Medical examinations are the primary reason persons visit their physician. The Center for Disease Control (CDC) found most Americans are healthy with over 70 million checkups annually. That means one in four American’s gets a checkup. Are you one? A physical examination helps develop a strong patient/physician bond or relationship. Often many patients feel they need to see their physician once each year, and most go only to treat an illness — not for preventative care. You are encouraged to explore the ways to maintain a healthy lifestyle and how to stay protected — not just during cold and flu season — but year round. Don’t change your lifestyle or start a new fitness program simply because you’re facing a checkup. It’s happened, and individuals believe they must change their lifestyle before seeing the doctor. “Come as you are” so that your health can be evaluated as it is. The physician needs to know about current health issues as well as the last time you smoked or consumed alcohol. Even if you intend to increase your fitness level, you should still talk to the physician. A health check up ensures you are fit and ready to be any sports r exercise routine you want. The examination will update your vaccinations and educate you regarding the latest news in medicine. People ignore health concerns often for a perceived lack of funds. Insurance companies often cover the cost of annual exams — at least partially. To see how much coverage you have, contact your insurance provider. People are not their best physicians. Some avoid the check up because of irrational fears of what may be found. Visiting the physician to have any aches or pains checked out now may help to avoid any lengthy and expensive surgery later. Your family history should encourage you to seek a physical examination sooner than later. Anyone whose family history includes acute diseases such as diabetes, heart disease or cancer should seek additional testing. An examination can eliminate concerns as well as serve as an early warning. Don’t delay in reporting any symptoms you might have. Often, persons ignore these issues until too late and end up checking into the emergency room. 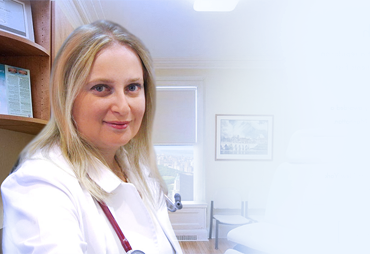 Dr. Gafanovich’s regimen of preventive care helps avoid many health issues. Consider it a spa treatment for your body or a tune-up for your car. Your body is the only one you have and it’s health and well-being should be guarded. Regular checkups should include blood pressure testing and weight checks. Cholesterol testing should be completed, and people with specific concerns should also see the doctor. With Dr. Gafanovich, you are a person, not a number. We understand you have genuine feelings and needs and a doctor visit can be stressful. However, we also understand the greater stress if you have an illness and don’t track on it to improve your health. If you’re still not convinced that you need a physical examination, push away from the computer and look around. Think of your family and closest friends. Have the exam for them if not for yourself. We guarantee you’ll sleep better knowing the complete story of your health.